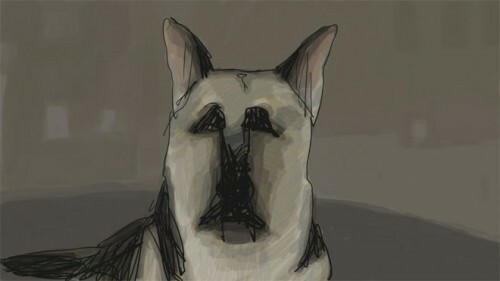 In this week's issue we have Critic's Choice boxes for My Dog Tulip, a feature-length animation adapted from the 1956 memoir by British author J.R. Ackerley, and Secret Sunshine, a South Korean drama by Lee Chang-dong (Oasis). Also check out our new reviews of Country Strong, a Nashville melodrama starring Gwyneth Paltrow and Tim McGraw; Guy and Madeline on a Park Bench, a low-budget urban musical that marks the feature writing and directing debut of Damien Chazelle; The Klezmatics: On Holy Ground, a documentary about the venerable Yiddish folk outfit; The Legend of Pale Male, about the red-tailed hawk that acquired an ardent following in Manhattan's Central Park; My Uncle, the restored English-language version of Jacques Tati's 1958 comedy classic Mon Oncle; and Season of the Witch, a medieval thriller starring Nicolas Cage. Best bets for repertory this week are Martin Scorsese's feminist drama (yeah, you heard me) Alice Doesn't Live Here Anymore (1974), Wednesday at Doc Films; Buster Keaton's College (1927), with live organ accompaniment by Dennis Scott, Saturday morning at Music Box; Tod Browning's notorious Freaks (1932), midnight on Saturday at Music Box; the Mae West comedy She Done Him Wrong (1933), next Thursday night at Doc Films; Douglas Sirk's The Tarnished Angels (1958), Tuesday at Doc; and D.W. Griffith's Way Down East (1920), Sunday at Doc. Last but not least, three recent and well-reviewed political documentaries turn up again this week: Black Gold, which exposes the West's exploitation of African coffee growers, screens Sunday at DuSable Museum; Flow: For Love of Water, about the poisoning of the world's fresh water supply, shows Friday night at Chicago Filmmakers; and Radical Disciple, a profile of Chicago's own crusading priest Michael Pfleger, screens Friday night at Unitarian Church of Evanston, with Pfleger and director Bob Hercules attending.